Brenda Best moved from Hanna, AB to attend the University of Lethbridge where she obtained her Bachelor of Management degree. 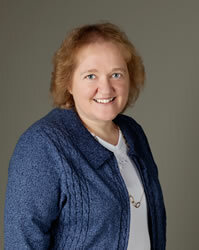 In 1989, she started her career as a public practice accountant working for a local firm. Brenda worked with clients in many diverse industries over the years. This exposure allows her to provide practical advice to her clients on numerous topics. After working for a national firm for several years, Brenda and Shane Roest founded Best Roest & Co. in 2007. She continues to focus on small business clients in various industries, such as agriculture, construction, food services, trucking, retail, real estate and professionals. Brenda enjoys helping clients with questions throughout the year knowing that continual contact helps their business grow and succeed. Brenda is married to Terry and they have two children, Melissa and Darcy.